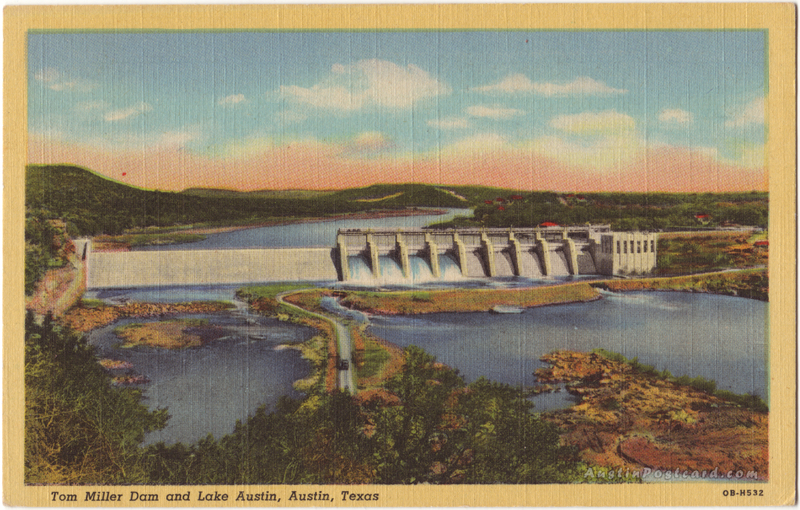 Text on Back: Tom Miller Dam on the Colorado River, three miles west of downtown Austin, showing a part of beautiful Lake Austin, and Mt. Bonnell and Scenic Drive in the background. The beautiful natural scenery, many summer homes, boat clubs, parks, and camp sites make Lake Austin one of the most popular recreation centers of Texas.